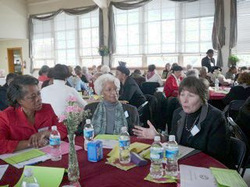 The Episcopal Church Women (ECW) was first recognized as an independent group in 1985. 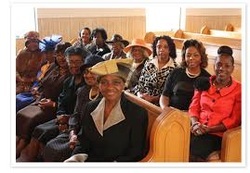 ECW evolved from the Women's Auxiliary Missionary Society, whose first national Triennial meeting was held in 1874. Much of the early work involved fundraising in support of female missionaries, eventually leading to the formation of the United Thank Offering. The Diocese of Washington is made up of eight geographic regions. Those are the District of Columbia, North, Central and South; Montgomery County, North, Central and South; Prince George's County, North and Southern Maryland. They are presented below in alphabetical order beginning with the Central Montgomery region. The bylaws of the Episcopal Church Women - Diocese of Washington were last revised at the Annual General Meeting on February 7, 2004.